This informative DVD presents the essential fundamentals a young softball pitcher needs to compete successfully. 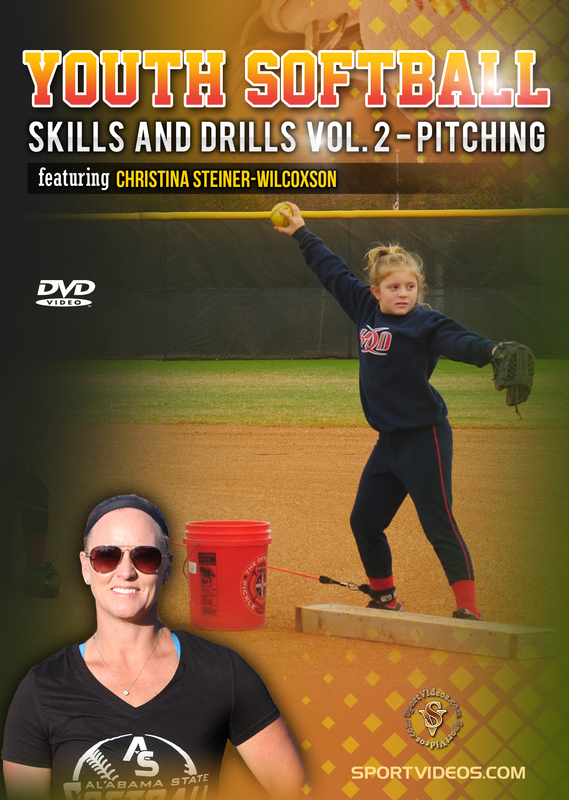 Coach Christina Steiner-Wilcoxson teaches players key techniques and provides a wide variety of unique training tips for practicing and mastering the basics of pitching. Among the topics covered are: The Grip, Working on the Snap, Leg Drive Drills, Tee Drills, Arm Circles, Walk Through Drills and Pitches.. Each fundamental skill is taught in a progressive manner that will maximize practice time and player improvement. The techniques and training methods in this program have been instrumental in helping to create successful players at all levels! 45 minutes. 2018. About the Coach: Christina Steiner-Wilcoxson has been a softball coach for over 18 years. Since August, 2014, she has been coaching at Alabama State University in Montgomery Alabama. Prior to coaching at ASU, Steiner-Wilcoxson was head coach at Auburn University at Montgomery (AUM) for six seasons and coached at Reinhardt College in Waleska, Georgia for three seasons. She also coached high school softball for five years in Alabama and Florida. Christina was also an outstanding player at Auburn University and was a three-year starter for the Tigers.